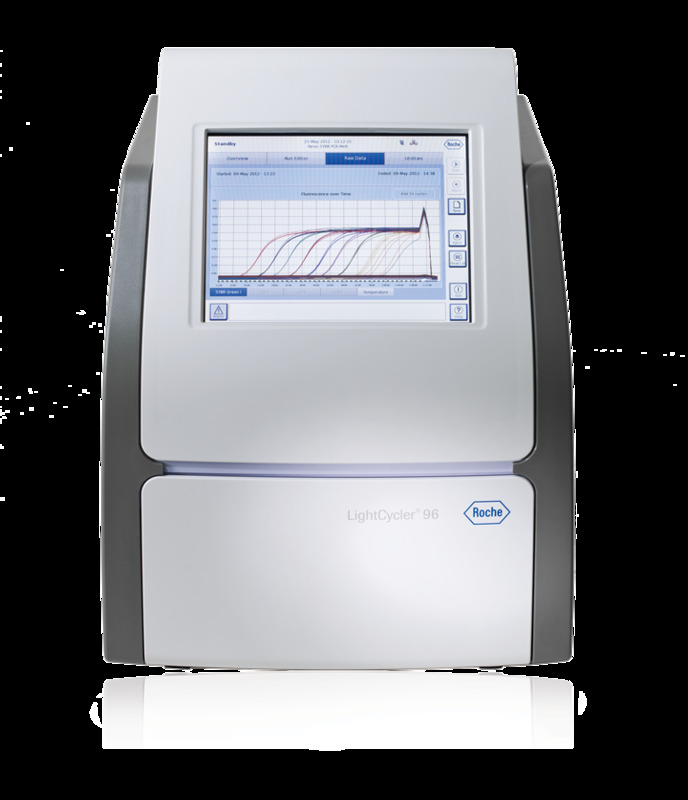 Ideal for any level of user, the LightCycler® 96 System offers an intuitive, user-friendly interface and cutting-edge fiber optics. Choose this compact, yet comprehensive system to obtain the accurate and reproducible data you need for publication-ready results and today’s challenging research demands. An ideal combination of accuracy, temperature homogeneity, and reproducibility. 1. Equally excite all 96 wells. 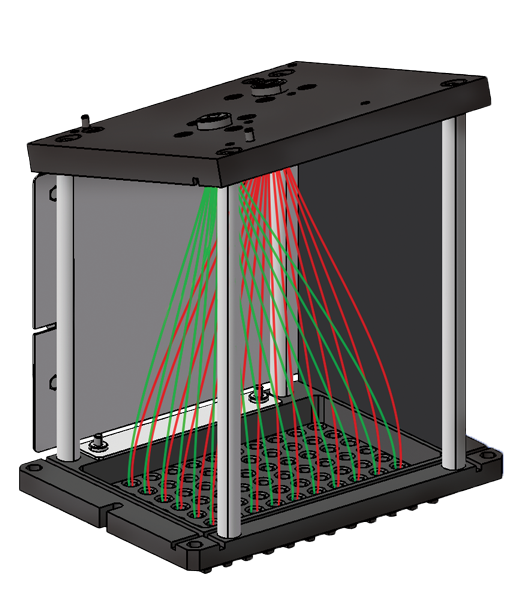 Equally excite all wells at the same time through the system’s high-intensity LED, which simultaneously transmits equal amount of light through the first set of 96 optical fibers. 2. Simultaneously capture the signal from 96 wells. Simultaneous capture of signals from all 96 wells is equally essential to maximize well-to-well consistency and avoid sample bias. Some suppliers’ systems rely on a scanning head that reads the 96 wells sequentially, not simultaneously, introducing a source of well-to-well inconsistency because of the time lag in data acquisition. Simultaneously capture the signal of all 96 wells through the second set of 96 optical fibers, each of which is positioned directly over its own well. 3. Maintain temperature homogeneity across the plate. Temperature inconsistencies across the plate can produce differences in cycling temperatures or “hot spots,” and thus disparate results, in different wells. Increase consistency through the LightCycler® 96 System’s silver thermal block cycler (driven by 6 Peltier elements), low mass electro-formed silver mount, and heated lid. Set up reactions with ease, using a simple icon-driven menu and interface. Quickly program your run with five predefined temperature protocols (Figure 4). Simplify routine and advanced tasks though a start-up wizard and shortcuts. Choose your type of connectivity: Control the system via the touchscreen, and monitor the progress from the touchscreen, connected computer, or any network computer. Conveniently analyze data remotely: Use any network computer or a USB memory stick to download complete results files, or have the instrument send them to you by email as soon as the run is completed. See a video demonstration of the software. Insist on a high-performance system that generates accurate, publication-ready results you can trust. 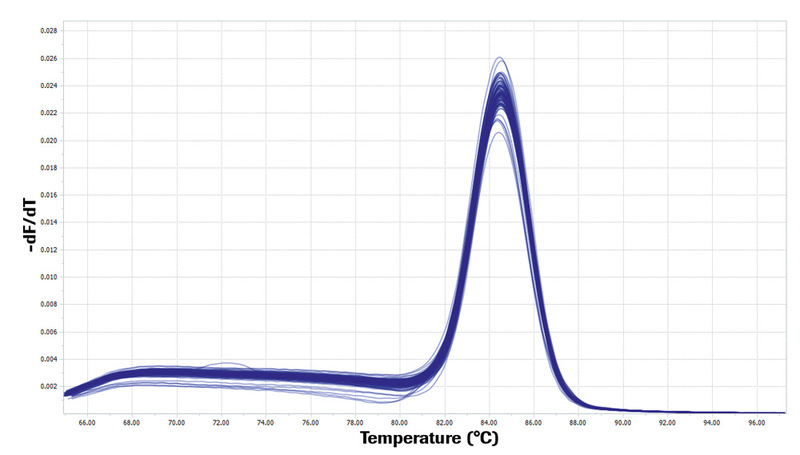 Take full advantage of the LightCycler® 96 System’s innovative optics and highly homogeneous thermal cycling conditions (Figure A) to produce the precise, reproducible data you need (Figure B) to achieve your research and personal goals. Figure A. 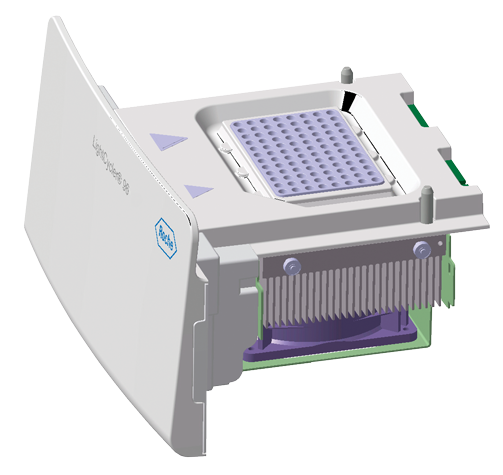 The LightCycler® 96 System generates reproducible, efficient, and consistent results. The Parvo B19 gene was amplified in 11 serial 1:2 dilutions of plasmid DNA (4 replicates each), from 500,000 copies to 244 copies, and detected with a hydrolysis probe assay. Results show a clear separation of the different dilutions, demonstrating that the system can efficiently discriminate between 2-fold differences, even down to 244 copies. Also, the very close Cq values (ΔCq < 0.2) of the replicates of a given dilution provide evidence for the reproducibility of the LightCycler® 96 System. Figure B. Homogeneous and uniform temperature across the block. Real-time PCR was performed using 3 pg of human DNA in each of the 96 block positions. (a) A 71-bp amplicon of the beta-globingene was amplified using hydrolysis probe detection. (b) The reaction product was also subjected to melting curve analysis. Low variation Cq values (Cq range =0.33 and SD=0.06) and overlapping melt curves of the amplicon (Tm range of 0.31°C and SD=0.31) in each of the 96 positions demonstrate temperature homogeneity and equal treatment of all samples - independent of block position. 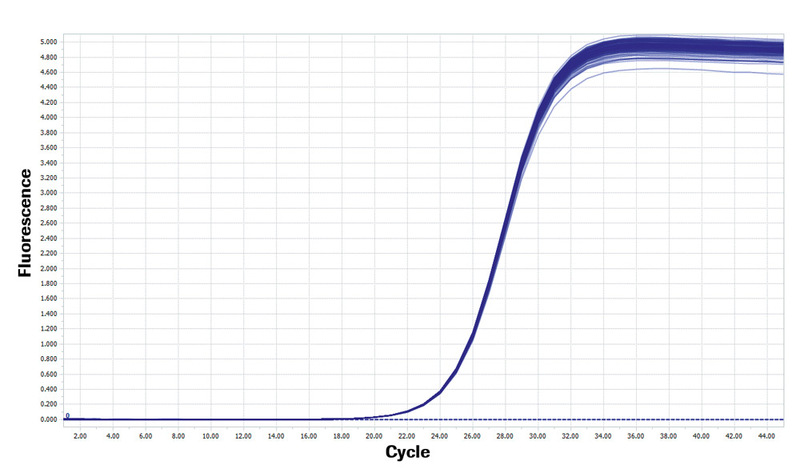 The LightCycler® 96 System is an optimal mid-size, mid-throughput qPCR solution for academic research, providing an ideal combination of temperature homogeneity and data reproducibility. Comprehensive programming options, a large touchscreen, and intuitive analysis software that is accessible to any user make it easy to obtain publication-ready results. Includes gradient function and options to work with PCR strips or plates. Thank you for your interest in the LightCycler® 96 Real-time PCR System. Please complete the form below and someone from our team will contact you with our current promotions. Salutation Dr. Mr. Mrs. Miss Ms.
LIGHTCYCLER is a trademark of Roche. 9115 Hague Road | PO Box 50414 | Indianapolis, IN 46250© 2014 Roche Diagnostics. All rights reserved.